Today two friends of mine released an e-book called WordPress Business Success. 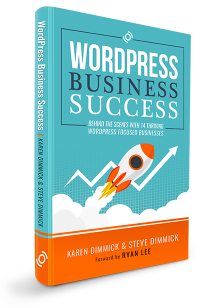 The book was written by Karen and Steve Dimmick from Freelancing Evolution and as the name implies the book focuses on WordPress businesses. Though this is not your typical book with tips from the authors, it is much more. What Is the WordPress Business Success E-Book About? In this WordPress businesses e-book Karen and Steve interview 14 successful business owners from the WordPress ecosphere. Through the interviews the authors gain insightful information on what inspired the business owners to start their WordPress business and how they dealt with the many different challenges of running the WordPress businesses. 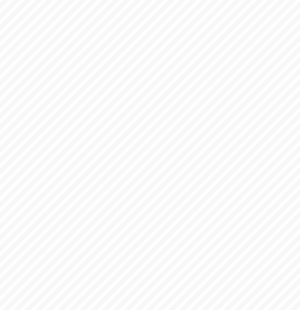 Who Is Featured in this WordPress E-Book? In this e-book Karen and Steve interview me (the developer of WordPess’ most popular audit trail and monitoring plugin WP Security Audit Log), Adam Warner from Foo Plugins, Pippin Williamson from Pippin’s Plugins (the creator of Easy Digital Downloads), Michiel Heimans from Yoast, Chris Wiegman from 10up and several others from different WordPress business verticals such as hosting, themes and WordPress maintenance. Not convinced yet? Here is a complete list of all the WordPress professionals who were interviewed and are featured in this e-book. What Do I think of the WordPress Business Success E-Book? 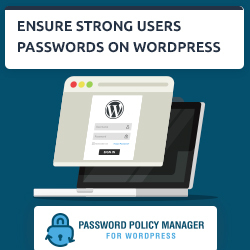 In my interview we talked about WordPress security and also touched a bit the subject of selling premium add-ons for the WP Security Audit Log plugin. I like the book and read it all already because I am always intrigued on how other businesses started and what others are doing to grow their business. You can never get a better advice than the one from the horse’s mouth, and this is what this book is all about. No second guesses or marketing bull. The conclusion is also very interesting, in which the book authors highlight some fascinating patterns about how all these 14 successful WP businesses started and what helped them achieving the success they had so far. Should You Read the WordPress Business Success E-Book? The book gives a detailed insight on starting, running, managing and growing a WordPress business. Therefore if you are thinking of starting your own WordPress business, or even if you are thinking of developing a WordPress plugin or theme, use this book as an inspiration. You might never tell where the next WordPress venture will take you. Success is never guaranteed and me and all the other interviewees never thought our WordPress project will take us this far, yet here we are today. You can get the WordPress Business Success e-book from Amazon. 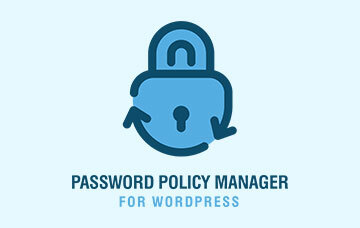 Good luck with your next WordPress venture! 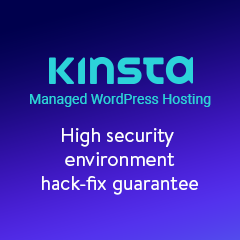 It was such a pleasure to interview you – you blew us away with the depth of your knowledge regarding WordPress website security. That inishgt’s just what I’ve been looking for. Thanks!